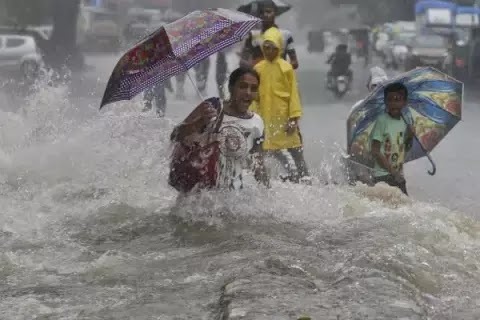 New Delhi: Gujarat, Madhya Pradesh, Maharashtra, Punjab and Rajasthan have been alerted in 21 states due to heavy rains. About 100 teams of about 4500 personnel of Disaster Response Force (NDRF) have been deployed to tackle flood and heavy rains across 71 locations across the country. In all the battalions of NDRF, additional teams are placed in the ready position and they will be sent as per demand. An official of the Home Ministry said that NDRF has deployed 97 teams for rescue and relief of flood affected people in 71 locations in at least 14 states across the country. There are 45 personnel in a team of NDRF. 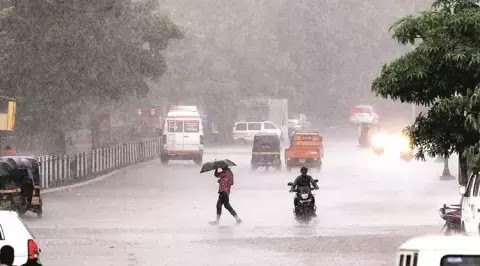 Partly cloudy in Delhi this morning The Meteorological Department has forecast rain in different parts of the city late evening in the national capital. Due to southwest monsoon, there is torrential rains in large parts of Karnataka . This has affected people's life and many rivers are running on the boom. 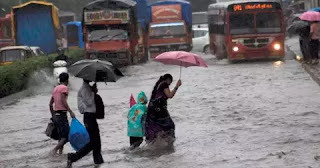 Officials said that there is a flood in Cauvery, Tunga, Bhadravati river and Krishna and their tributaries. 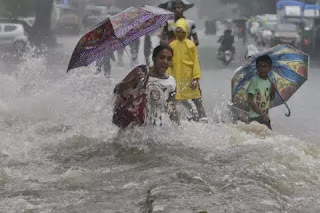 Due to heavy rainfall in many residential and low areas of Navsari and Valsad districts of Gujarat , water was flooded and people had to face problems. 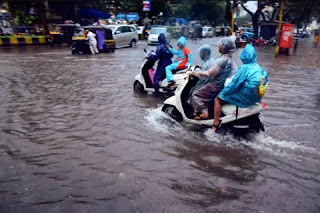 According to the State Emergency Control Room, there are many areas of Saurashtra region. 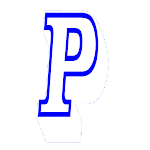 Due to torrential rain, water is flooded on the roads and the rivers are running on the boom. 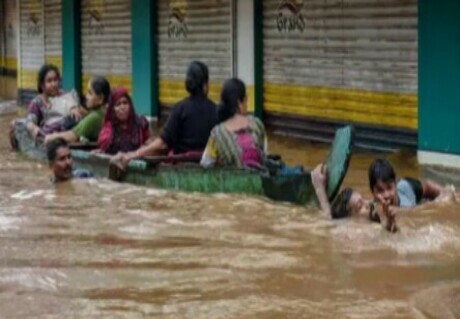 About 900 people have been safe places in the state, especially in the areas of Central Gujarat.